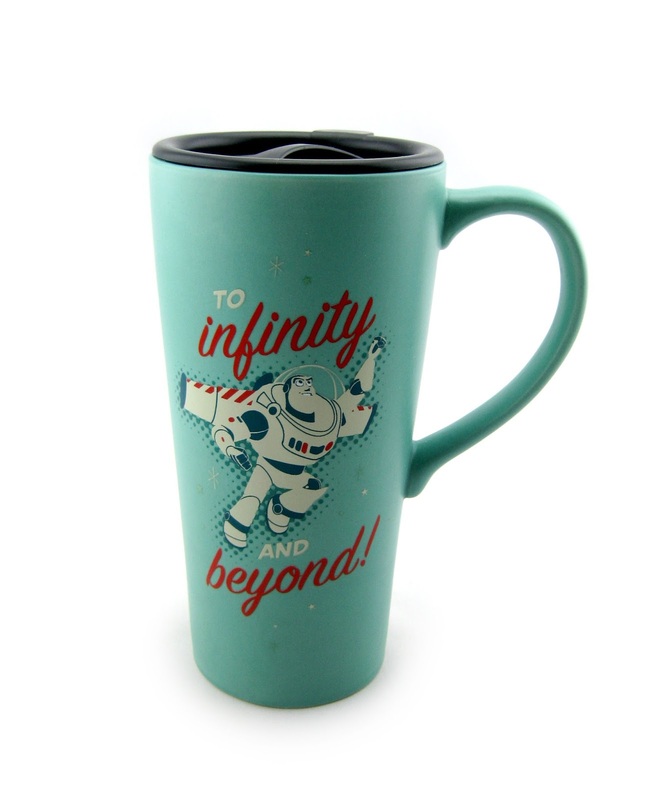 Just when I thought I was caught up, they have just released a "Phase 2" of products in stores now that I couldn't resist- including this very cool Buzz Lightyear "To Infinity and Beyond" traveler mug! This is a classy, really well made piece for any Toy Story fan. It measures approximately 5.25" W x 7" H x 3.5" D (holds 16oz. ), is made of a ceramic material (with plastic lid) and retails for $19.95.